871, at a time when the Danes, or Norsemen, had extended their conquests widely over the country; they had completely overrun the Kingdom of the West Saxons (or Wessex) by 878. 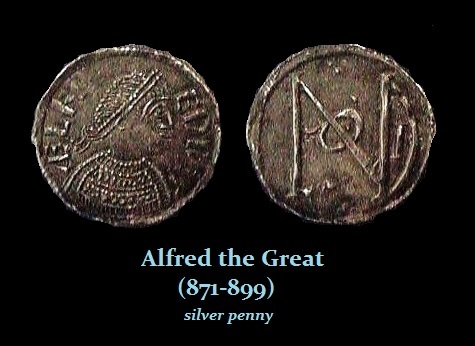 Alfred, the king of Wessex, was obliged to flee in disguise. 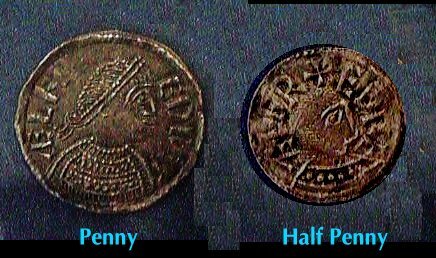 At length he gathered a small force and having fortified himself on the Isle of Athelney, formed by the confluence of the Rivers Parret and Tone amid the marshes of Somerset, he was able to make frequent raids on the enemy. It was during his time here that he, according to legend, disguised himself as a harper and entered into the camp of King GUTHRUM. Having ascertained that the Danes felt themselves secure, he returned to his troops and led them against the enemy. He gained such a decided victory that fourteen days afterwards the Danes begged for peace. This battle took place in May 878 near Edington in Wiltshire. Later he took London and repulsed a Danish seaborne invasion.